Historically, tax litigation has been a somewhat neglected field in Portugal. While the Portuguese legal framework is reasonably satisfactory in acknowledging taxpayers' rights and providing means for their defence, the harsh reality is that tax courts face a chronic backlog of unresolved cases which they struggle to handle at an appropriate pace.2 More often than not, public resources are allocated to other areas of the judicial system such as criminal or civil courts, leaving tax courts struggling to keep up with the demands of a modern-day economy. To make things worse, over the past decade significant investments have been made by the government to increase the tax authorities' efficiency in raising revenue, notably augmenting their data management and audit capabilities. In turn, this intensified the volume of tax litigation, adding pressure to an already stressed tax court system. Against this backdrop, some measures have been taken to address the issues faced by tax litigation in Portugal. Notoriously, in 2011 tax arbitration courts were created as an alternative dispute resolution mechanism capable of offering a final judgment within six months to one year, in contrast to the three to five years taken on average by the ordinary tax courts. To make this possible, arbitrators are selected from tax professionals, tax scholars and retired tax judges, and appeals are generally inadmissible.3 On the other hand, the digital environment has finally fully reached the tax courts. Initially created in 2003, it took the best part of two decades and several improvements for the tax and administrative courts' case management software 'SITAF' to be fully implemented. Finally, in 2018, its use became mandatory in all tax courts and nowadays both taxpayers and tax authorities can access their cases in real time and must present their writs by online submission. Moving from paper to a digital environment will certainly prove crucial to improve efficiency within the tax courts without compromising the quality of decisions. 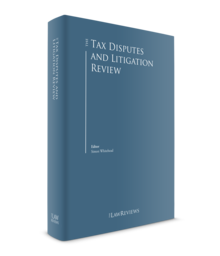 Nevertheless, tax litigation is likely to continue to be on the rise as international exchange of information and the global stance against aggressive tax planning and tax avoidance fuels the tax authorities' initiative and budgetary constraints still encourage a revenue-based approach to their rapport with taxpayers. At the same time, taxpayers are increasingly aware of their rights and willing to assert them in court. Moreover, the issue of tax authorities' liability for unlawful tax assessments is beginning to reach the courts in a meaningful manner. Overall, there is a clear need to strike a balance between tax authorities' efficiency and taxpayers' rights protection, possibly through less adversarial approaches to the administration of taxes and tax litigation. Traditionally, tax administration tools such as mediation, settlement or horizontal monitoring have been discarded in Portugal under constitutional constraints like the principles of tax legality and equality but, slowly and steadily, things may be changing also in this regard. In 2013, a special division was formed within the tax authorities' structure to assist large taxpayers. The Large Taxpayers Unit successfully created a taxpayer-friendly environment directed towards large businesses and high-profile individuals in acknowledgement of the fact that most of those taxpayers focus primarily on adequate compliance with tax law and not in in saving taxes at all costs. At the heart of any tax dispute is a disagreement between the tax authorities and a taxpayer as to how tax should apply to a given situation situation (i.e., how tax should be assessed). On the other hand, nowadays the vast majority of assessments result primarily from the interaction between the taxpayers and the tax authorities' software. This entails that most disputes arise either when taxpayers wish to amend previously filed tax returns, or, above all, when the tax authorities initiate tax audit procedures and disagree with how or what the taxpayers have stated to be their tax-related affairs. Personal income tax returns may be amended, as a rule, within 120 days as of the payment deadline of the original tax assessment being notified to the taxpayer. By contrast, when favourable to the taxpayer, the amendment of corporate income tax returns may take place within one year as of the original filing deadline and, when unfavourable, within the general four-year statute of limitations period. Similarly, VAT assessments may be amended within two years of the original filing when the amendment is favourable to the taxpayer and, when unfavourable, must be amended with no time limit other than the aforementioned general statute of limitations period. Regarding legal or factual errors detrimental to taxpayers, once the deadlines for amending the corresponding returns have expired, taxpayers may only seek to alter tax assessments by initiating a formal dispute with the tax authorities, as discussed below. The amendment of tax returns within the assessment procedure by the tax authorities is possible and is usually the result of the cross-referencing of data provided by other taxpayers or, rather less frequently, from the automatic exchange of information with foreign tax authorities. However, as a rule, the tax authorities tend to act once taxes have already been assessed, examining the conformity of such assessments within tax audit procedures.7 These may be initiated at any time during the statute of limitations period,8 which is then stayed whenever the tax audit takes place at the taxpayers' premises or facilities (i.e., is an 'external' tax audit). Tax audits must be completed within six months, a period that in certain circumstances may be extended for up to two additional three-month periods. Should the tax audit include the resort to exchange of information mechanisms with foreign tax authorities, an additional extension of 12 months is applicable. Within the tax audit procedure, when the tax authorities reach a preliminary conclusion that an amendment detrimental to the taxpayer is due, the taxpayer is notified to present any additional information and issue an opinion on such conclusion within a set deadline ranging from 15 to 30 days. Pursuant to such hearing, the final tax audit report is issued dictating any tax assessments the tax authorities deem justifiable. The administrative claim procedure is free of charge and may generally be filed within a 120-day period as of the assessment's payment deadline.10 However, administrative claims pertaining to self-assessments or withholding tax may be filed within two years following the assessment.11 Administrative claims are to be decided by the tax authorities within four months. Upon an express or tacit dismissal12 of the administrative claim, taxpayers may choose to lodge an administrative appeal to the Ministry of Finance (within 30 days),13 to file a judicial claim before the Judicial Tax Court (within three months)14 or, when admissible, to file a tax arbitration request before the Tax Arbitration Centre (within 90 days).15 Administrative appeals should be decided within 60 days. Pursuant to such decision, the dispute may still be brought to either the Judicial Tax Court or the Tax Arbitration Centre (within the aforementioned deadlines). Similarly, whenever a taxpayer chooses to challenge the tax assessment directly before the Judicial Tax Court, the corresponding judicial claim is to be filed within three months as of the assessment payment deadline. Alternatively, should the chosen litigation course be tax arbitration, the corresponding tax arbitration request needs to be filed within 90 days as of the assessment payment deadline. In addition to the prevalent disputes related to tax assessments there are of course myriad actions and procedures by the tax authorities that may give rise to disputes with taxpayers. Broadly speaking, actions by the tax authorities that do not directly pertain to tax assessments may be judicially challenged by taxpayers via the general judicial administrative claim made available as a remedy against illegal action by governmental and other public entities.16 This is to be filed within three months as of the date the disputed action is notified to the taxpayer. In tax matters it applies, for instance, to cases such as the refusal or withdrawal of tax benefits or whenever taxpayers wish to challenge the outcome of binding information requests. However, there are other disputes that take place in the tax field and do have specific procedures. Worth mentioning in this regard are actions taken by the tax authorities within tax audit procedures such as the access to banking information or the resort to presumptive taxation on the grounds of wealth signs evidenced by the taxpayer held incompatible with the corresponding personal income tax returns. In such cases, taxpayers may challenge said actions via a specific judicial appeal to be lodged within 10 days as of knowledge of the tax authorities' intent.17 On the other hand, whenever indirect methods of taxation are applied, a special administrative procedure exists entailing an internal review procedure and a technical debate between designated experts, which is a precondition for the subsequent judicial claim.18 The taxpayer needs to request such review committee within the 30 days following the notification of the tax audit report. Appeals vary significantly regarding the time taken for a decision, ranging from six months to several years depending on the complexity of the case.26 Such appeals tend to be final given that further appeals, either to the full panel of judges of the Supreme Administrative Court or to the Constitutional Court, are very restricted. Failing to pay a tax or to surrender taxes withheld entails the payment of compensatory interest at a 4 per cent yearly rate.31 Whenever the taxpayer has assessed the tax amount at stake, late payment interest at a yearly rate currently set at 4.825 per cent is due instead.32 Such interest is assessed together with the tax assessment and may be challenged in the same dispute. Criminal penalties are punishable either with imprisonment or with pecuniary penalties. The latter are set out in a number of days of penance, to which a certain penalty amount is attributed ranging from €1 to €500 regarding convicted individuals or from €5 to €5,000 regarding corporate entities. Ancillary penalties such as interdiction of certain activities may also be applied. the carrying out of sham transactions, disguising the corresponding value or nature, or by interposing, omitting or replacing the corresponding intervening parties. Tax embezzlement is punishable with up to five years' imprisonment (for individuals) and up to 1,200 days of penance (for corporate entities). It occurs whenever tax withheld, or in any way charged to a third party, in excess of €7,500, is not surrendered by the taxpayer to the tax authorities. Like any other crimes, the Public Prosecution Service prosecutes tax criminal offences, albeit with technical assistance provided by the tax authorities. The defence of taxpayers takes place under the general criminal procedural law. The failure to surrender taxes withheld, assessed or charged to a third party is punishable with a fine of up to 200 per cent or 400 per cent of the tax at stake (for individuals and corporate entities respectively), capped at €82,500 and €165,000 (for individuals and corporate entities respectively). The lack or inaccurate filing of tax returns or other tax-relevant documents is punishable with a fine of up to €22,750 or €45,500 of the tax at stake (for individuals and corporate entities respectively). In addition to being able to defend themselves within the tax misdemeanour procedure prior to the application of fines, subsequently taxpayers are entitled to challenge the legality of any fines applied before the judicial tax courts. Finally, it should be mentioned that if a dispute exists as to the tax assessment to which the tax infringement refers, as a rule, the corresponding criminal or administrative misdemeanour procedure is stayed until a final decision is reached as to the assessment's lawfulness. Administrative decisions are subject to judicial review and must comply both with ordinary law and with constitutional principles and provisions. Hence, they may be challenged before the tax authorities themselves or the tax courts on the grounds of any illegality or unconstitutionality, including serious injustice, abuse of power, acquired right or legitimate expectation. Nevertheless, the tax authorities tend to focus on ordinary law and decide cases accordingly. For understandable reasons such as ensuring an equal treatment of taxpayers but, most of all, to secure an adequate level of control and homogeneity between different units within the hierarchy, the tax authorities are reluctant to set aside ordinary legal provisions on the grounds of an alleged disconformity with constitutional commands. In practical terms, this is a task left to the courts. By contrast, actions before the judicial tax courts are subject to court fees.47 These are scaled in accordance with the value of the claim, ranging on the first instance tax courts from €51 (for claims of up to €2,000) to €1,632 (for claims of up to €275,000). Claims in excess of €275,000 are subject to a final surcharge of €306 for each additional €25,000. Appeal courts' fees are set at half the first instance tax courts' fees. The winning party within a judicial tax claim is entitled to claim the refund of the court fees borne from the losing party. Moreover, as compensation for legal fees, the winning party may claim an amount of up to 50 per cent of the total court fees paid. As a rule, this falls short of the actual legal costs borne, with the probable exception of very high-value claims. The winning party within an arbitration tax claim is refunded by the Tax Arbitration Centre the amount of fees paid.50 No amount is due as compensation for legal fees. As previously mentioned, in 2011, Portugal introduced tax arbitration as a measure to tackle the significant volume of cases pending in judicial tax courts. Perfectible as it may be, it must be said that it was a resounding success. It is seen increasingly as the forum of choice if your case is relatively simple and you do not wish to wait several years for it to be decided. The tax arbitration procedure was conceived and designed as an alternative to the judicial claim and is initiated at the taxpayer's request before the Tax Arbitration Centre. Ad hoc tax arbitration tribunals are set up by the Centre. A single arbitrator decides cases with a value of up to €60,000, while a panel of three arbitrators decides cases in excess of such amount – such panel also exists whenever the taxpayer exercises the right to choose a specific arbitrator.51 Arbitration tribunals must decide cases by applying the law. There is no room for settlement or equity judgments. claims upholding the illegality of decisions that set taxable income but do not directly give rise to the assessment of any tax, of decisions determining the taxable base and decisions that set asset values for tax purposes (with the exception of those that result from the application of indirect methods of taxation). Moreover, customs duties and related indirect taxes, as well as claims relating to the classification, origin and customs value of goods, may not be subject to tax arbitration. Finally, tax disputes with a value exceeding €10 million are also excluded from tax arbitration. The main feature of tax arbitration is its swiftness, given that cases must be decided within six months (with the possible extension of an additional equal period when the complexity of the case justifies it). This deadline is consistently complied with and is seen as the most important factor underlying a taxpayer's choice to bring its dispute before an arbitration tribunal. Such swiftness is additionally secured by the fact that arbitration decisions tend to be final given that appeals are only admissible in very strict circumstances. Broadly speaking, a decision from an arbitration tribunal is equated for appeal purposes to a decision from a central administrative court and therefore only exceptionally may it be appealed either to the Supreme Administrative Court or to the Constitutional Court. Portugal has had a general anti-abuse rule (GAAR) for nearly 20 years now.53 It was highly controversial when introduced and seen by many as a threat to the constitutional principle of legality, which was and is still seen as the backbone of the tax system. To address such concerns the actual resort to the GAAR was heavily conditioned by a set of formalities placing a special burden on the tax authorities. Mostly because of this, for the first 10 years of its existence cases in which the Portuguese tax authorities had resorted to the GAAR were virtually unheard of. It all changed in 2011 when it was successfully applied in a high-profile case that echoed throughout the Portuguese tax industry.54 That was of course fuelled by the domestic and international stance against aggressive tax planning. In the years following such decision one witnessed a widespread resort to the GAAR by the Portuguese tax authorities, which was nevertheless somewhat refrained by the courts. Nowadays the tax authorities are still striving to strike the proper balance between applying the GAAR and accepting taxpayers' freedom to arrange affairs in a tax-efficient manner. It is against this backdrop that the BEPS proposals and the corresponding European Commission initiatives should be seen. In general both the tax authorities and the government welcome such measures, in particular since they all concur to increase the tools and mechanisms at the tax authorities' disposal. Indeed, Portugal is generally compliant with both OECD and EU legislative programmes, albeit with some delay, which is more due to poor organisation than reluctance or criticism. Double tax treaties55 are interpreted and applied in accordance with the Vienna Convention on the Law of Treaties of which Portugal is a contracting state. In this context, it should be mentioned that the Portuguese legal order is monist, meaning that treaty provisions need not be transposed into the domestic legal order once the corresponding treaty is signed and ratified. This entails that taxpayers may invoke treaty provisions directly and that these prevail over strictly domestic law. Tax treaty override is therefore forbidden. Likewise, EU law provisions prevail over domestic tax law and may be invoked directly by taxpayers. Significant investments made in the tax administration software and important legislative measures obliging businesses to upgrade and harmonise invoicing and accounting procedures to a point that the tax authorities may virtually access these in real time enabled in recent years a particularly efficient fight against the shadow economy. Driven by such success, and realising the importance of information as the decisive factor to a successful administration of taxes, the tax authorities are currently shifting their attention to cross-border situations and the exchange of information with their foreign counterparts. This is likely to be a major area of focus in the near future, as the tax authorities will certainly try to make the best use of the vast exchange of information network at their disposal.57 In turn, this will put pressure on taxpayers and tax courts, which still tend to accept as truthful any information received from a foreign tax authority. One should not forget that these are no longer the days of information exchanged almost only by request and under careful preparation by conscious tax officials. Nowadays, most information is of course exchanged automatically and in bulk, with little to no human interference, which will inevitably augment the risk of errors and inaccuracies that may turn into a terrible ordeal for taxpayers. This short analysis has shown that the Portuguese legal framework relevant to taxpayer protection, perfectible as it may be, is reasonably satisfactory. Even so, in recent years budgetary constraints and a press for quantitative efficiency have brought a considerable curbing of taxpayers' rights, as government and tax officials concentrate above all on raising revenue. Unfortunately, this trend does not appear to be changing. Eventually it seems inevitable that a fresh look will be taken at taxpayers' rights, reconciling the much-needed efforts to fight tax evasion and aggressive tax planning with fundamental values such as legal certainty and proportionality, the importance of which cannot be forgotten and should not be downplayed. Nevertheless, the major threat to taxpayers' rights in Portugal does not come from lack of or deficient legal statutes. It pertains to the quality with which tax law is applied and to the lack of technical preparation of those dealing with it. It is more of a social than a legal problem, but if tax officials wrongfully levy taxes, tax lawyers fail to properly present their clients' cases and tax judges decide cases simply in accordance with what they sense to be right or, even worse, take refuge in analysing form rather than merit, no legal right is really protected. 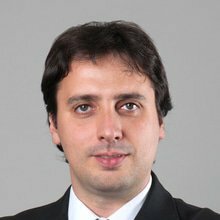 1 Diogo Ortigão Ramos is a partner at Cuatrecasas and head of the tax practice in Portugal. 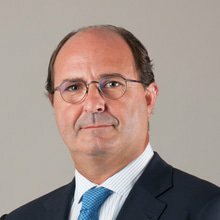 Pedro Vidal Matos is also a partner at the Portuguese tax practice of Cuatrecasas. 2 According to the latest statistics, in 2017, there were 47,839 cases pending before the first instance tax courts. To put this into perspective, in that same year, 14,707 new cases were lodged and 16,811 decisions were rendered (see the 2017 Annual Report from the High Council of the Tax and Administrative Courts, p. 44). 4 Ministerial Dispatch No. 4223/2018 of 17 April 2018. 5 Under Article 59(3) of the Tax Procedure and Process Code (CPPT). 6 See Article 122(1) of the Corporate Income Tax Code (CIRC) and Article 78(6) of the Value-Added Tax Code (CIVA). 7 Tax audit procedures are governed by the General Tax Law (LGT) and by the Tax and Customs Audit Procedure Regime (RCPITA), a specific statute that outlines the tax authorities' prerogatives and the corresponding taxpayers' rights. 8 The general statute of limitations period is four years, foreseen in Article 45(1) LGT. There are, however, a number of specific exceptions that can extend such period up to 12 years, such as whenever the facts at stake pertain to blacklisted jurisdictions – see Article 45(7) LGT. 9 See Articles 131(3) CPPT and 132(6) CPPT. 10 See Article 70(1) CPPT. 11 See Articles 131(1) CPPT and 132(3) CPPT. 12 A tacit dismissal occurs when the deadline for a decision elapses. It grants the taxpayer the right to take the case immediately to court. Alternatively, the taxpayers may choose to wait for an express decision, which in that case remains due. 13 See Article 66(2) CPPT. 14 See Article 102(1) CPPT. 15 See Article 10(1) of the Tax Arbitration Legal Regime (RJAT). 16 The Administrative Courts' Procedure Code (CPTA) governs the general judicial administrative claim procedure. 17 See Article 146-B(2) CPPT. 18 This special administrative procedure applicable in cases of indirect methods of taxation is governed in Articles 91 to 94 LGT. 19 See Article 146(1) CPPT. 20 See Articles 203 CPPT and 204 CPPT. 21 See Article 276 CPPT. 22 Statistics on the volume of administrative claims and appeal and the average time taken for a decision are taken from the 2018 Government Report on the Fight against Tax Fraud and Tax Evasion, pp. 137–43. 23 See the 2017 Annual Report from the High Council of the Tax and Administrative Courts, p. 51. 25 See Article 280(1) CPPT. 26 For updated statistics on the duration of appeals see the Directorate-General on Justice Policy website. 27 See Article 280(2) CPPT. 28 See Article 152(1b) CPTA. 29 See Article 150(1) CPTA. 30 See Article 70(1) of the Constitutional Court Procedural Law (LTC). 31 See Article 35 LGT. 32 See Article 44 LGT. 33 The General Regime on Tax Infringements (RGIT). 34 See Articles 103 RGIT and 104 RGIT. 35 See Article 105 RGIT. 36 Tax embezzlement corresponded to 79 per cent of the total tax criminal procedures initiated in 2017, while tax fraud amounted to 7 per cent (see the 2018 Government Report on the Fight against Tax Fraud and Tax Evasion, p. 167). 37 See Article 114 RGIT. The failure to surrender taxes withheld, assessed or charged to a third party corresponded to 78 per cent of the total misdemeanor procedures started in 2017 (see the 2018 Government Report on the Fight against Tax Fraud and Tax Evasion, p. 164). 38 See Article 119 RGIT. 40 See Article 78 LGT. 41 See Article 101-C of the Personal Income Tax Code (CIRS) and Article 98 CIRC, regarding individual or corporate taxpayers, respectively. 42 See Article 22 CIVA. 43 Transposed into the Portuguese legal order by Decree-Law No. 186/2009, of 12 August 2009. 44 See Article 9 CPPT. 45 See Article 97(3) CIVA. 46 See Article 77 CPPT. 47 Court fees are levied in accordance with the Judicial Costs Regulation (RCJ), a statute that applies to all judicial court procedures, including tax courts. 48 Tax Arbitration fees are specifically set out in the Tax Arbitration Costs Regulation (RCAT). 49 Whenever the taxpayer exercises the right to choose one of the arbitrators (see Section VII) the costs are significantly higher, ranging from €6,000 (for claims up to €60,000) to €120,000 (for claims up to €10 million). 50 No refund exists when the taxpayer has exercised the right to choose one of the arbitrators. 51 Regardless of the value at stake, the taxpayer may opt to select a specific arbitrator, in which case the tax authorities will choose another and both will select a third arbitrator who will preside over the judgment. Mostly because of the related costs (see Section VI) taxpayers, apart from very specific cases in which the expertise of a specific scholar is seen as crucial, seldom elect this option. 52 See Article 68 LGT (Binding Information), Article 12(3) RCPITA (Advance Clearing), and Article 138 CIRC (Advance Pricing Agreements). 53 See Article 38(2) LGT. 54 Case 04255/10, decided by the South Central Administrative Court on 15 February 2011. 55 The Portuguese double tax treaties network currently includes 79 treaties – for an updated list of the existing treaties see the tax authority's website. 56 See Article 101-C CIRS and Article 98 CIRC. 57 In addition to the exchange of information provided by the existing double tax treaties it is worth mentioning the Convention on Mutual Administrative Assistance in Tax Matters (developed jointly by the OECD and the Council of Europe) of which Portugal is a contracting party, and of course the EU Directives on exchange of information. Moreover, there are 15 bilateral exchange of information undertaken with jurisdictions with which no double tax treaty exists (for the corresponding list see the tax authority's website).